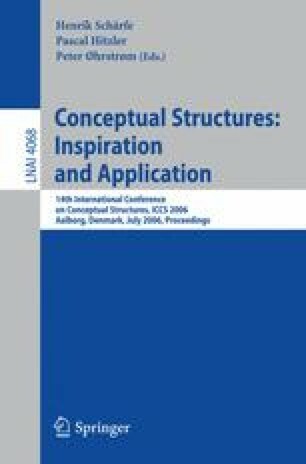 A main source of inspiration for the work on Conceptual Graphs by John Sowa and on Contextual Logic by Rudolf Wille has been the Philosophy of Charles S. Peirce and his logic system of Existential Graphs invented at the end of the 19th century. Although Peirce has described the system in much detail, there is no formal definition which suits the requirements of contemporary mathematics. In his book A Peircean Reduction Thesis: The Foundations of topological Logic, Robert Burch has presented the Peircean Algebraic Logic (PAL) which aims to reconstruct in an algebraic precise manner Peirce’s logic system. Using a restriction on the allowed constructions, he is able to prove the Peircean Reduction Thesis, that in PAL all relations can be constructed from ternary relations, but not from unary and binary relations alone. This is a mathematical version of Peirce’s central claim that the category of thirdness cannot be decomposed into the categories of firstness and secondness. Removing Burch’s restriction from PAL makes the system very similar to the system of Existential Graphs, but the proof of the Reduction Thesis becomes extremely complicated. In this paper, we prove that the teridentity relation is – as also elaborated by Burch – irreducible, but we prove this without the additional restriction on PAL. This leads to a proof of the Peircean Reduction Thesis.